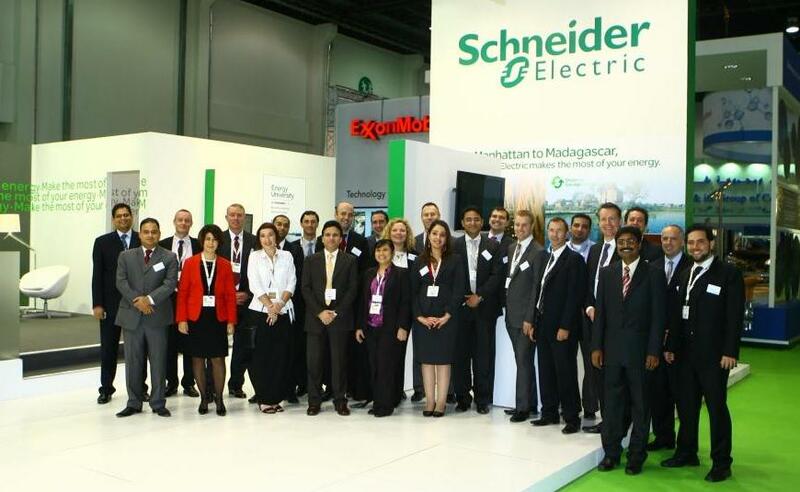 Abu Dhabi – UAE: 13 January, 2011 – Schneider Electric today announced it will showcase a range of new assets, including its energy efficiency initiatives and solutions, at the World Future Energy Summit 2011 (WFES 2011), the world’s largest conference and exhibition on renewable and future energy solutions, in Abu Dhabi. Organised under the patronage of His Highness Sheikh Mohammed bin Zayed Al Nahyan, Crown Prince of Abu Dhabi and Deputy Supreme Commander of the UAE Armed Forces, WFES 2011 will be held from 17-20 January at the Abu Dhabi National Exhibition Centre (ADNEC). Visitors to the Schneider Electric booth (Hall 3, Booth #3220) will gain an insight into the company’s commitment to resolving the global energy dilemma and experience the latest resources and solutions for optimizing energy efficiency. The demo area will also provide visitors with a unique opportunity to meet with the company experts on specific topics including the challenges of a smarter grid, EcoStruxure™ solutions and energy efficiency, infrastructure for electric vehicle, and Schneider Electric’s ‘Save Energy, Share Energy’ initiative. An exclusive ‘Schneider Electric Energy Efficiency Theatre’ will enable visitors to attend high-level conferences featuring the company’s senior management on topics such as energy efficiency and smart grids. Jean-Pascal Tricoire, President and Chief Executive Officer, will be part of the ‘Business Leaders in Renewable Energy’ plenary session on 18 January, while Christian Wiest, Executive VP – Customers and Alliances, will articulate the company’s vision for sustainable future energy solutions.